As of July 2019 it is possible to automate the process of sending an Alma or Primo VE Analytics report to an FTP server. There are situations in which an institution needs to supply data via Alma Analytics to “another dept. of the institution”. For example, a list of invoices which have been paid to vendor X during time period Y to Z. Before this development it could be done via an API or via a scheduled email. With this development the report can be put on an ftp server and picked up by the “other dept. of the institution”. This makes integrating between departments and systems even easier. Decide which S/FTP configuration you want to use for the Alma Analytics report. We will use “The YILIS dept. FTP server”. Decide which Alma Analytics report you want to send to the FTP server. 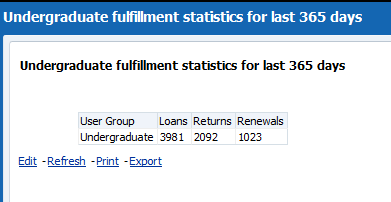 We will send the report “Undergraduate fulfillment statistics for last 365 days” under folder “/shared/Main Campus/Reports” to the ftp server. 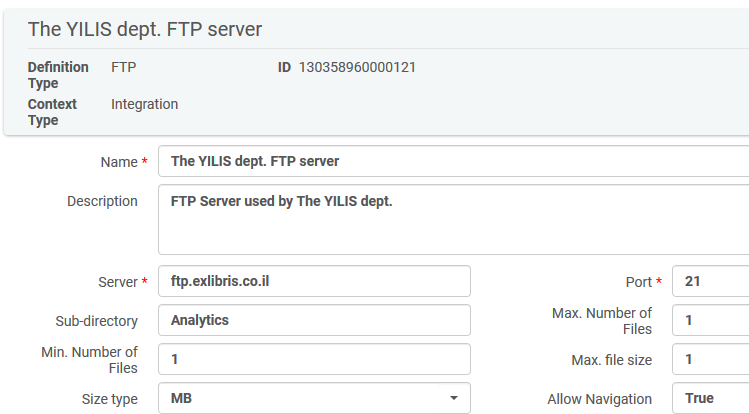 Create an analytics object of type Scheduled Report and check the “FTP” option. As with all scheduled reports choose the desired report. After checking the ftp checkbox, you will have an additional field to choose the desired ftp configuration. If desired you can also specify a sub-directory. 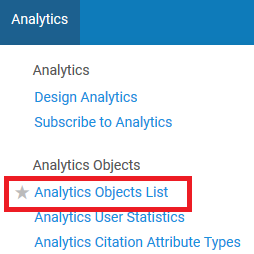 Note that at least one role must be selected in the analytics object. The format of the report (as is also the case for the scheduled report via email) can be in Excel, PDF or text. Wait for the job “Schedule of Analytics reports and dashboards” to run. The report of the job will include not only email information but also ftp information. The report is now on the ftp server. Another dept. of the institution can “pick it up”. Note that it is on the ftp server in directory “Analytics/Fulfillment”. This is because “Analytics” is the sub-directory of the FTP configuration and “Fulfillment” is the sub-directory of the “Scheduled Report” analytics object.